American Routes goes from Texas roadhouses to Zydeco dancehalls with two men known for their live performances, Delbert McClinton and Buckwheat Zydeco. Harmonica player, vocalist and songwriter Delbert McClinton has gone from backing up Jimmy Reed and Howlin' Wolf in the 1960s to top 40 success. But he never stops delivering what his fans want-sweaty, country-tinged rhythm and blues shows. Stanley Dural, Jr., better known as Buckwheat Zydeco, grew up hearing traditional accordion from his father from the very beginning, but preferred soul, funk and R&B. Now he's known for mixing them all together for high-energy shows across southern Louisiana and the world. All this plus great music from Lightnin' Hopkins, Emmylou Harris, Fats Domino and more. The Houston-born singer/songwriter Rodney Crowell talks about growing up on the rough side of town with the ghost of Hank Williams as a "family member," as well writing songs for his recent duet partner Emmylou Harris. He also wrote for many of the country heavy weights from Jerry Reed to Guy Clark and Bob Seeger, and was also the antagonist in Rosanne Cash's signature tune "Seven Year Ache." Then we'll sit down live in a rare visit to Nashville (!) with the Crescent City's Nite Tripper himself Dr. John, who reminisces about and demonstrates his early days at the piano, and on a music industry "spying mission" that could only happen in New Orleans. The Houston-born singer/songwriter Rodney Crowell talks about growing up on the rough side of town with the ghost of Hank Williams as a "family member," as well writing songs for his recent duet partner Emmylou Harris. He also wrote for many of the country heavy weights from Jerry Reed to Guy Clark and Bob Seeger, and was also the antagonist in Rosanne Cash's signature tune "Seven Year Ache." 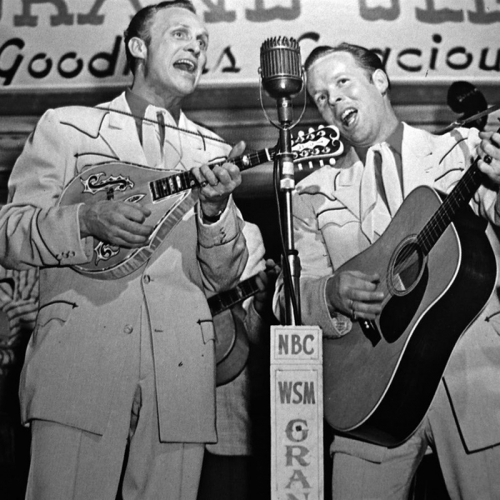 Then we'll sit down live in a rare visit to Nashville (!) with the Crescent City's Nite Tripper himself Dr. John, who reminisces about and demonstrates his early days at the piano, and on a music industry, "spying mission" that could only happen in New Orleans. The Houston-born singer/songwriter Rodney Crowell talks about growing up on the rough side of town with the ghost of Hank Williams as a "family member," as well writing songs for his recent duet partner Emmylou Harris. He also wrote for many of the country heavy weights from Jerry Reed to Guy Clark and Bob Seeger, and was also the antagonist in Rosanne Cash's signature tune "Seven Year Ache." Then we'll sit down live in a rare visit to Nashville with the Crescent City's Nite Tripper himself Dr. John, who reminisces about and demonstrates his early days at the piano and on a music industry "spying mission" that could only happen in New Orleans. Gifted singer Emmylou Harris takes a new trip down old country roads as the self-searching "Red Dirt Girl." We speak with her about growing up between South and North, her days on the road with Gram Parsons, and her atmospheric music today. Also, the purposefully unrooted band Yo La Tengo of Hoboken, New Jersey tracks their 15 years of luminous music and improvisatory life. 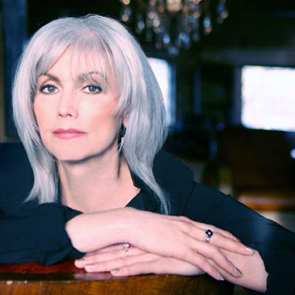 Gifted singer Emmylou Harris takes a new trip down old country roads as the self-searching "Red Dirt Girl". We speak with her about growing up between South and North, her days on the road with Gram Parsons, and her atmospheric music today. Also, the purposefully unrooted band Yo La Tengo of Hoboken, New Jersey tracks their 15 years of luminous music and improvisatory life. American Routes goes from Texas roadhouses to Zydeco dancehalls with two men known for their live performances, Delbert McClinton and Buckwheat Zydeco. Harmonica player, vocalist and songwriter Delbert McClinton has gone from backing up Jimmy Reed and Howlin' Wolf in the 1960s to top-40 success. But he never stops delivering what his fans want--sweaty, country-tinged rhythm and blues shows. Stanley Dural, Jr., better known as Buckwheat Zydeco, grew up hearing traditional accordion from his father from the very beginning, but preferred soul, funk and R&B. Now he's known for mixing them all together for high-energy shows across southern Louisiana and the world. All this, plus great music from Lightnin' Hopkins, Emmylou Harris, Fats Domino and more. American Routes goes from Texas roadhouses to Zydeco dancehalls with two men known for their live performances, Delbert McClinton and Buckwheat Zydeco. Harmonica player, vocalist and songwriter Delbert McClinton has gone from backing up Jimmy Reed and Howlin' Wolf in the 1960s to top-40 success. But he never stops delivering what his fans want--sweaty, country-tinged rhythm and blues shows. Stanley Dural, Jr., better known as Buckwheat Zydeco, grew up hearing traditional accordion from his father from the very beginning, but preferred soul, funk and R&B. Now he's known for mixing them all together for high-energy shows across southern Louisiana and the world. All this plus great music from Lightnin' Hopkins, Emmylou Harris, Fats Domino and more. Gifted singer Emmylou Harris takes a new trip down old country roads as the self-searching "Red Dirl Girl." We speak with her about growing up between South and North, her days on the road with Gram Parsons, and her atmospheric music today. Also, the purposefully unrooted band Yo La Tengo of Hoboken, New Jersey tracks their 15 years of luminous music and improvisatory life. Gifted singer Emmylou Harris takes a new trip down old country roads as the self-searching "Red Dirl Girl." We speak with her about growing upbetween South and North, her days on the road with Gram Parsons, and her atmospheric music today. Also, the purposefully unrooted band Yo La Tengo of Hoboken, New Jersey, tracks their 15 years of luminous music and improvisatory life.